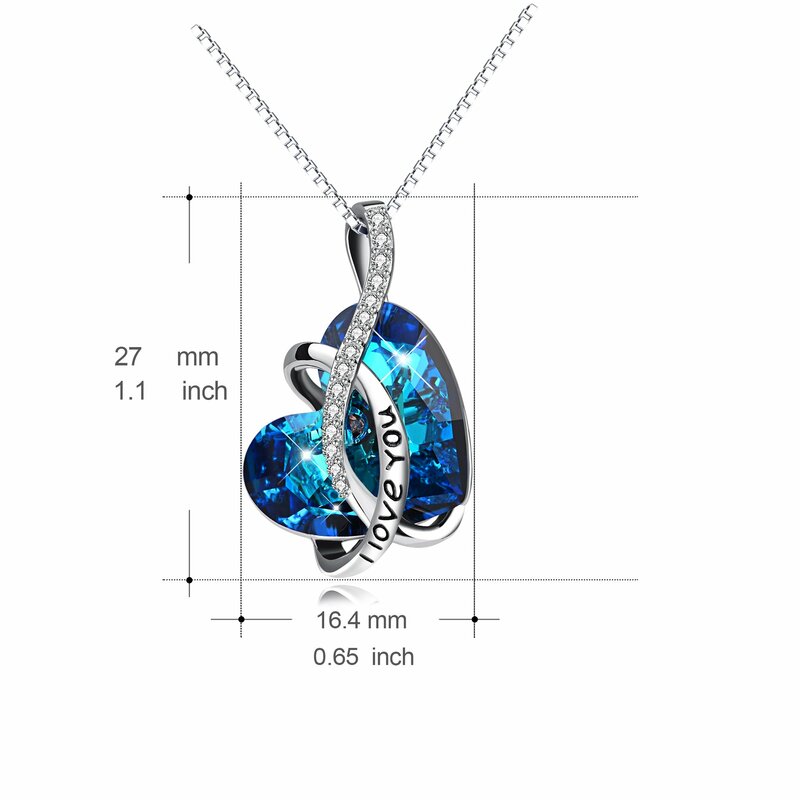 Buy AOBOCO I Love You Sterling Silver Heart Pendant Necklace with Swarovski Crystals Jewelry for Women at best price today! Check our largest collection of daily offers and exclusive discounts from top brands you love and prefer. Enjoy free delivery and free returns. Shop Online Now! AOBOCO original jewelry design inspiration come from love and dream.Make jewelry as necessary a part of life.We use hypoallergenic 925 sterling silver ,which can also be worn comfortably by everyone. Each and every jewelry pieces receives the similar attention to detail, from concept to completion. AOBOCO jewelry is designed about a joy for life and a timeless beauty. All of our products are manufactured to the high standards, by highly skilled workers the usage of the 925 sterling silver.make everyone to be the most productive one. 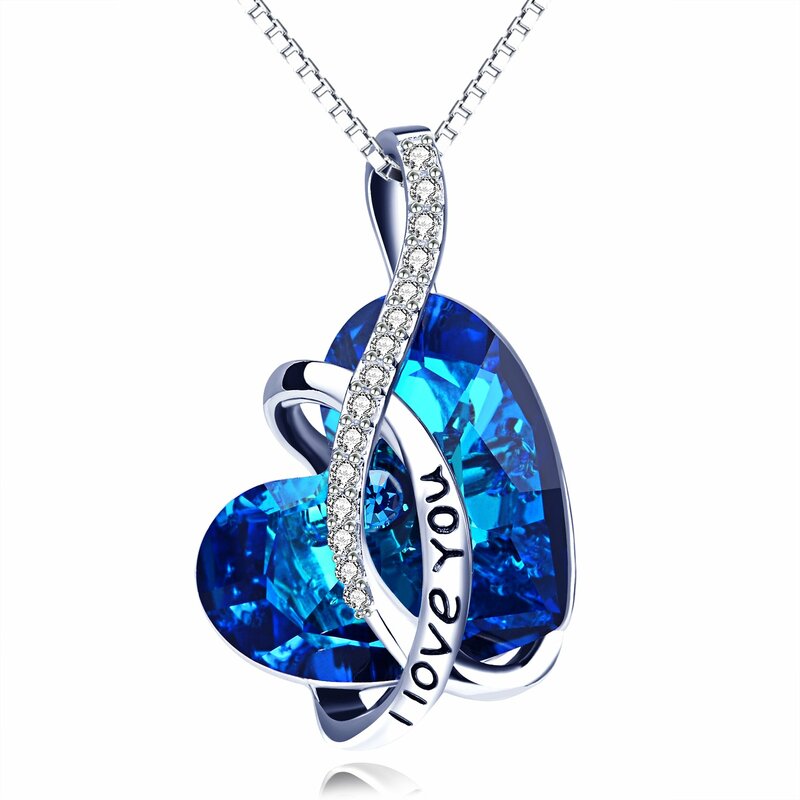 This pendant designed crystal in a twisted infinity line, pave the cubic zirconia up the heart make it shine for the love. 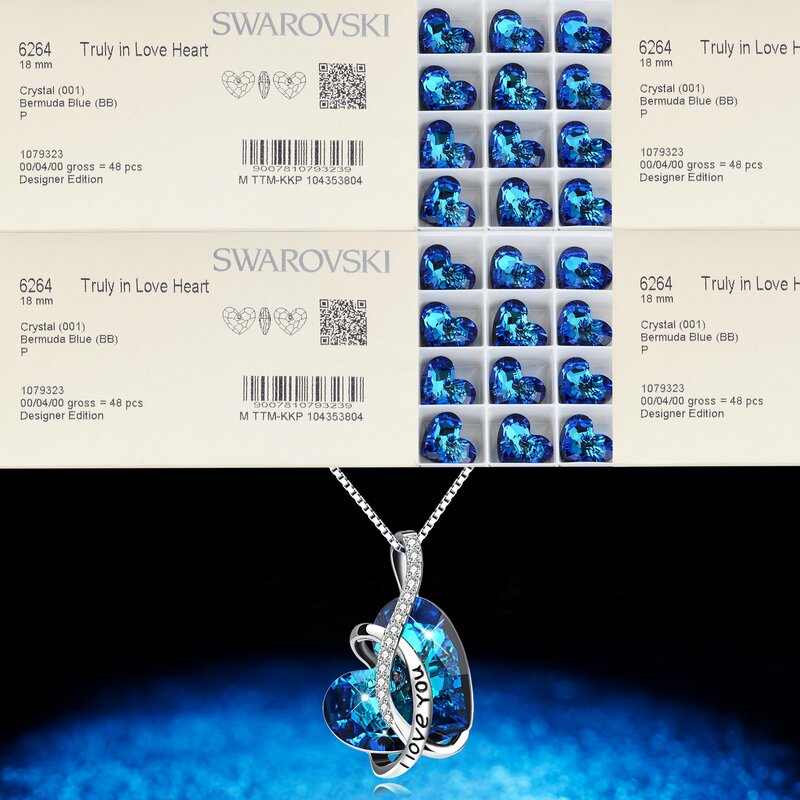 Engraved “I Love You“, make it as the best gift to express the infinity love to the only you loved! Free risk money back to offer protection to you whilst you receive any defected order, welcome contact us for any question or advise.